Building a perfect elevator pitch is extremely important if you wish to sell your new startup idea to investors. It’s do-or-die situation for your business and future. Mind mapping will help overcome the initial apprehensions and bring much-needed clarity throughout the process. It is an ideal way to create an impressive presentation. A startup pitch is viciously more difficult than it used to be. Making big bucks with a new startup is the “in” thing at the moment thanks to TV shows featuring investors and thanks to crowdfunding websites. Nowadays, you have to present a very high quality and very organized startup pitch to even be considered for investment because there is just so much competition out there. Here are the steps you should take. Your plan must include all aspects of a good and organized business plan, such as the product and services, the financial scheme, web design, company overview, the strategy, implementation procedure, management and your market analysis. Your aim should be to add as much information as you can. Not all of the information you produce needs to be shown overtly, some of it can be hidden away in files, but you must create a very detailed and comprehensive plan. Mind mapping is a perfect tactic to explain the overall business model in a visual manner. The approach makes it easier for investors to understand your plan, your purpose, and how you have reached your conclusions. If you have created a deep and organized plan, then you will have a lot of information to share. How you share that information may be vital to your success. Consider a series of mind maps that branch out to explain the smaller details of your plan. Let’s say you have several mind maps. One may show your overall business plan, another may show your business principles, another may show your budget, and so forth. As you add detail, consider adding other levels to your mind maps. A website works with a homepage, headers, subheaders, categories and subcategories. You could do a similar thing with your mind maps as you break down each section and show deeper detail as you go. 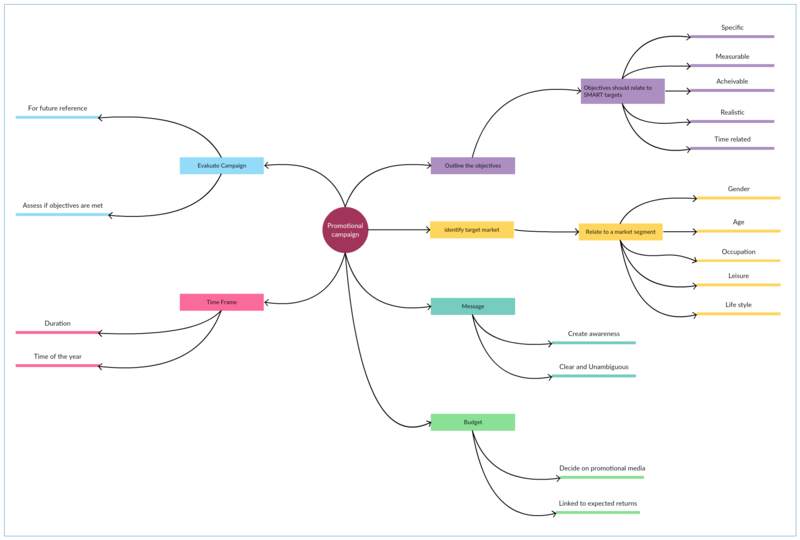 You can use the mind mapping method to present your ideas with clarity in an interactive format. Through the process, you can focus on specifics while communicating the big picture. Show your investors what you intend to do and sell. Then show them your business processes and money-making methods, after that show them how your business will survive the next 5/10/20 years, and finally show them your projected earnings. You need to add colors, images, and different shapes. Secondary information can be integrated with text notes, documents, files, folders and links to websites to deliver your plans more efficiently. Telling business persons to add important and colorful graphics is like telling a schoolchild to color in their picture. It seems like a waste of time, but you have to consider the investors. You have a lot of information to convey, and so much data (even well-organized data) will become boring. Graphics, colors and shapes may help you better categorize each section and/or show a relation between one element and another. When you give your pitch, your investors may become concerned if you cannot produce minor details. It may appear as a lack of preparation. Offer minor and nice-to-know information in separate files that you attach to your presentation. For example, your mind map doesn’t need to show details of the graphic design company you intend to use, but you could include a file that shows the design company you chose, their details and their quotes. Give your investors graphs, images, and charts and place them in mind maps. It will help you communicate your ideas in an uncluttered way. Create clear and compelling points so that your collaborators get a systematic and conceptual view of your subject. Consider concept maps which might be more useful than a mind map in this situation. A decorated cake shows the finished product, but what your investors need is a clear view of how you made the cake. They need to see the mixing, the baking, the first layer of icing and so forth. Think of your pitch as a cake, you need a strong narrative that takes the investors from mixing to the finished cake. A conceptual view is great, so long as it gives a systematic view of your subject via a narrative that the investors can understand. What are your thoughts on building the perfect elevator pitch? It sounds obvious, but the more time you invest into your pitch and your startup plan, the better it will become. There is no element of your plan that cannot be improved. For example, if you have budgeted $400 for stationary, then itemize every item you wish to buy and where you intend to buy it from. Not only will the extra effort help prove your case; it will also highlight problems that may adversely affect your business when it is up and running. Joan Selby is a former ESL teacher and a content marketer at writing service EdugeeksClub. She also runs her own blog about social media and writing tips. Joan is a Creative Writing graduate and fancy shoe lover. A writer by day and reader by night, giving a creative touch to everything. Connect with her on Twitter and Facebook. 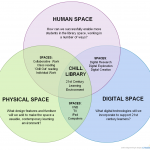 Top 5 Community Diagrams of the Week!